RACE DAY! Dang that 3:15am wakeup alarm was painful. I briefly considered just bagging the whole thing and going back to sleep...20-something weather, rain, sleet...not my idea of great running conditions. After a 4am Monorail trip, followed by a bus transfer, and then a fairly long walk (with snow coming down! ), Dough & I finally reached the starting area. 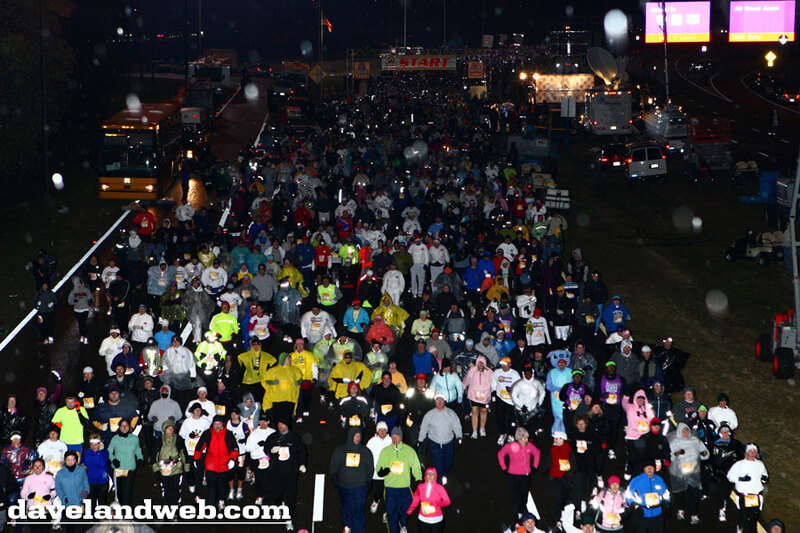 Disney actually had planned things pretty well on this one; with a 5:40am start for Wave 1, I only had about 15-20 minutes to stand around and wait and worry about whether I needed one more bathroom trip or if my clothes were going to keep me warm. AND THEY’RE OFF! You can see the snow coming down in the photo. 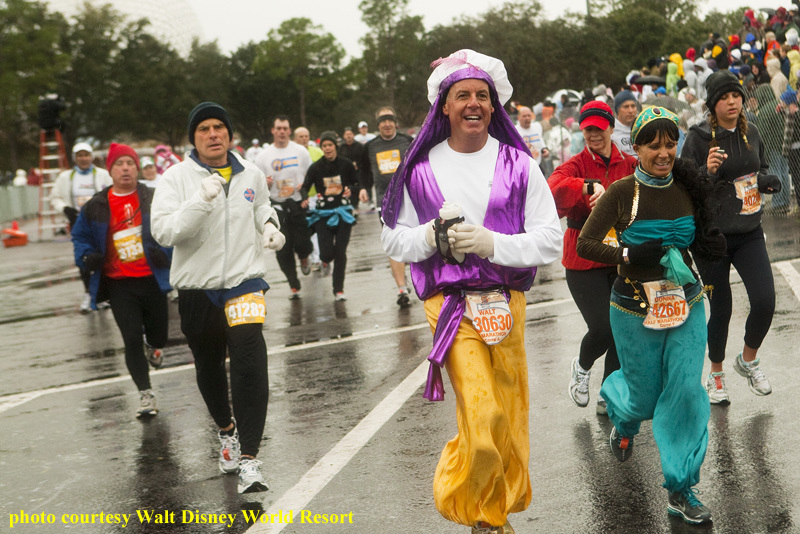 Walt, who I had met at Candlelight, actually ran the Half AND the Full Marathon back-to-back...AND wore a costume while doing so! 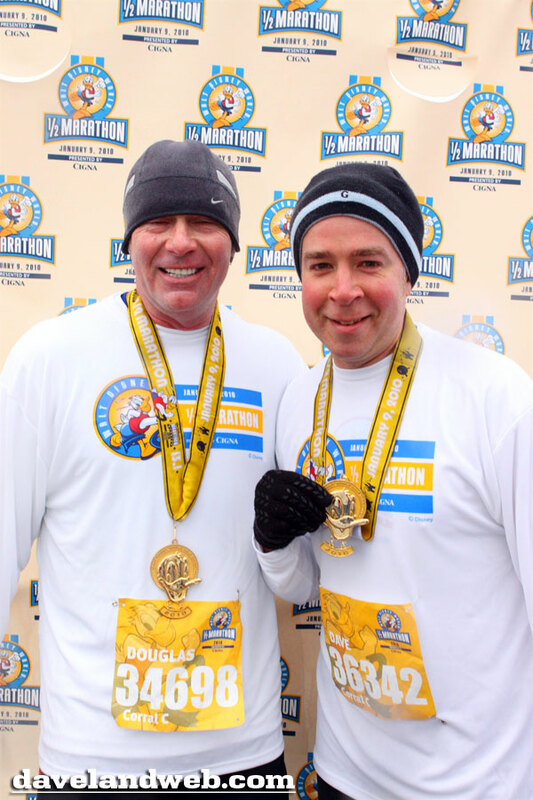 Talk about crazy...I can’t even imagine doing a full marathon, yet alone one day after running a half. Showing off my bling; the glare from it caused Dough to blink. Once the race was over, the first thought was the victory meal. Unfortunately, transportation after the race was a total cluster. It ended up taking us almost 2 hours to get back to the hotel because of traffic, weather, and just plain poor organization. 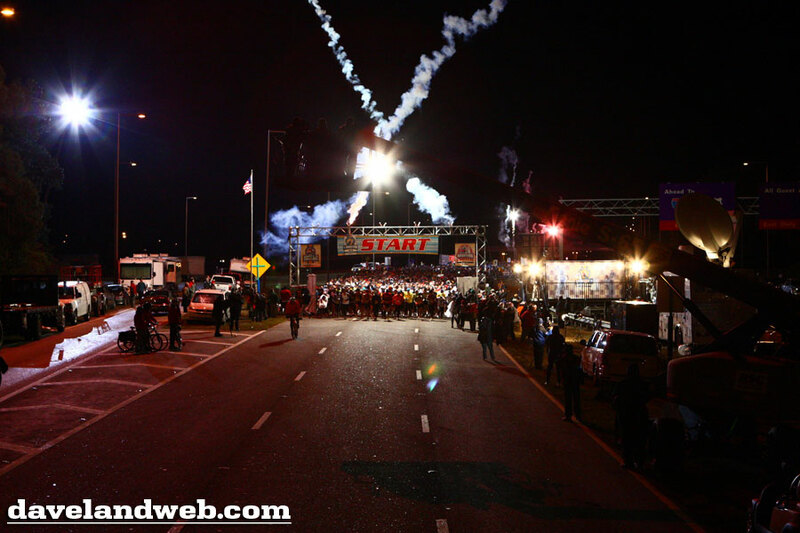 Overall, I have to say that I enjoyed the WDW race itself much better than the Anaheim version. 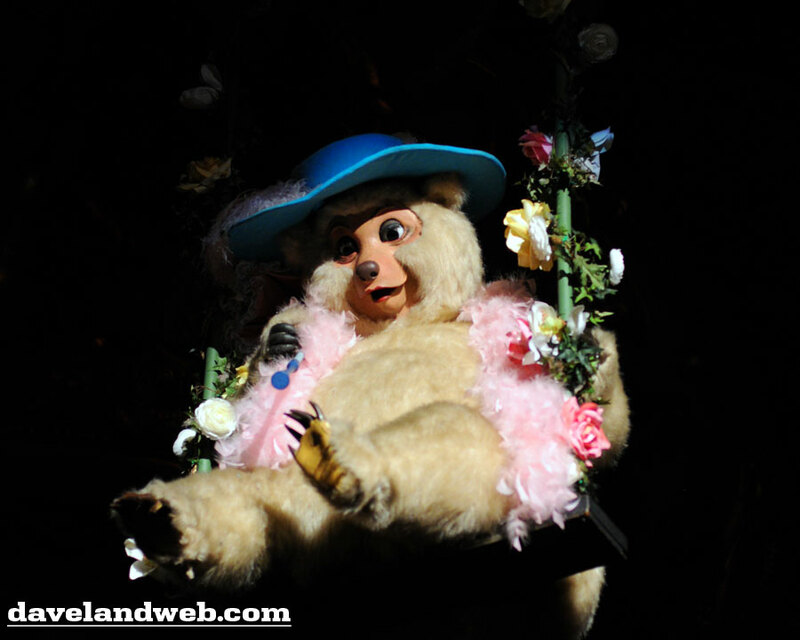 There were more characters out along the way for photo opps; more exciting entertainment; and let’s face it readers...Anaheim is just not the prettiest place to run! 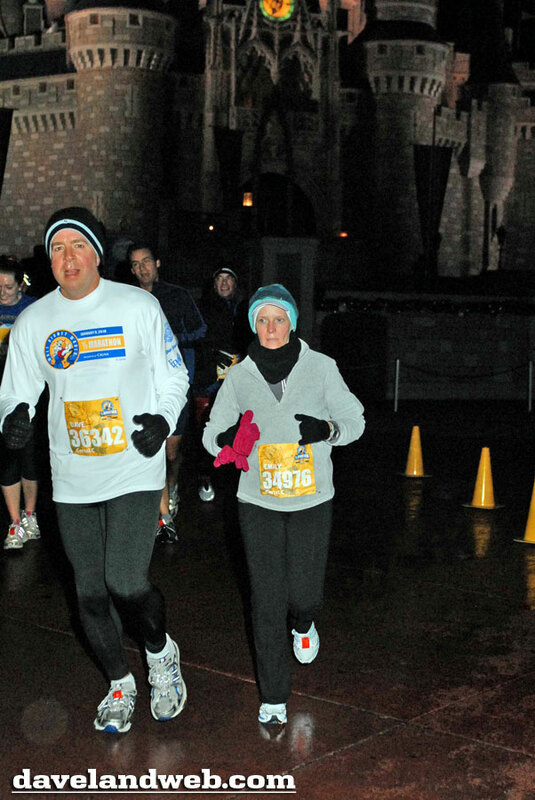 The fact that I had a personal best time (probably because of the freezing cold temps!) made the race all that much sweeter. 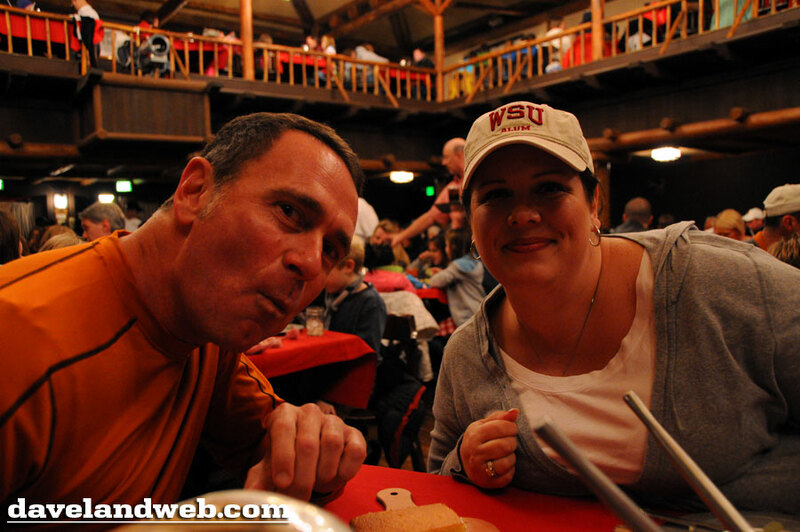 The restaurant of choice for the after-race celebration was the Plaza Restaurant on Main Street. Our server was fantastic, and the warm comfort food (Tomato Soup & Meatloaf) hit the spot! 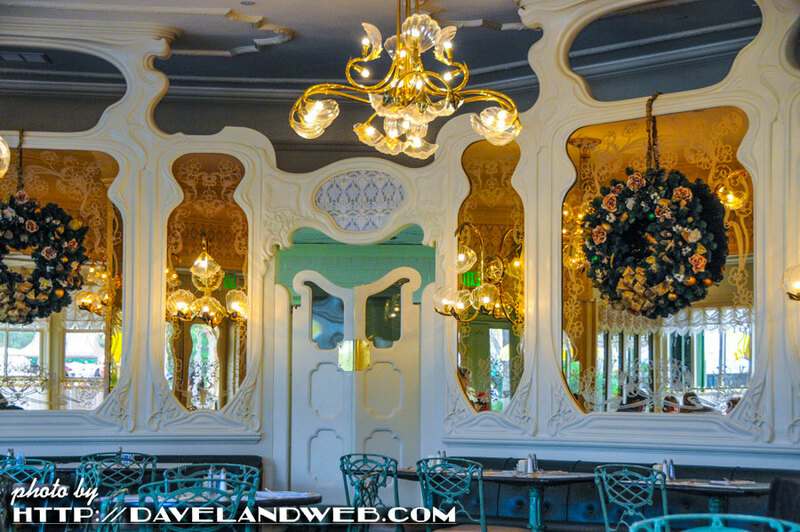 The decor (like the rest of Main Street) is an odd mixture of 1970’s, art nouveau, and victorian clutter. 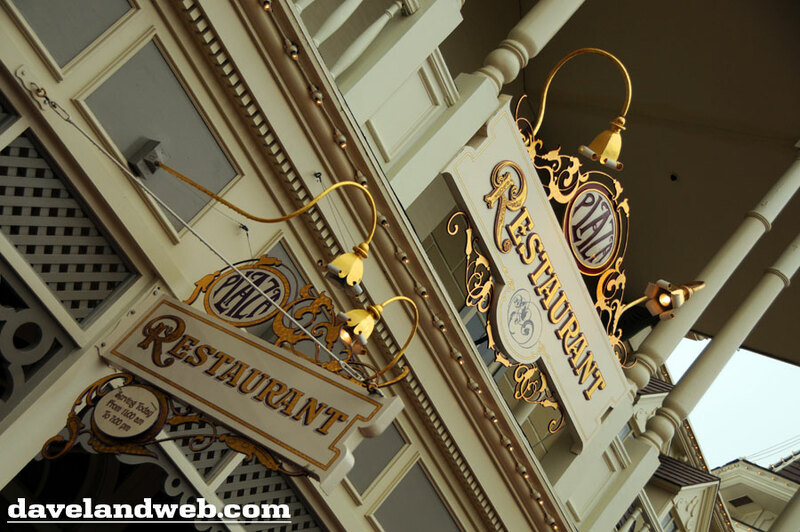 Once again, for capturing the old time feel, Main Street at Disneyland is champ. 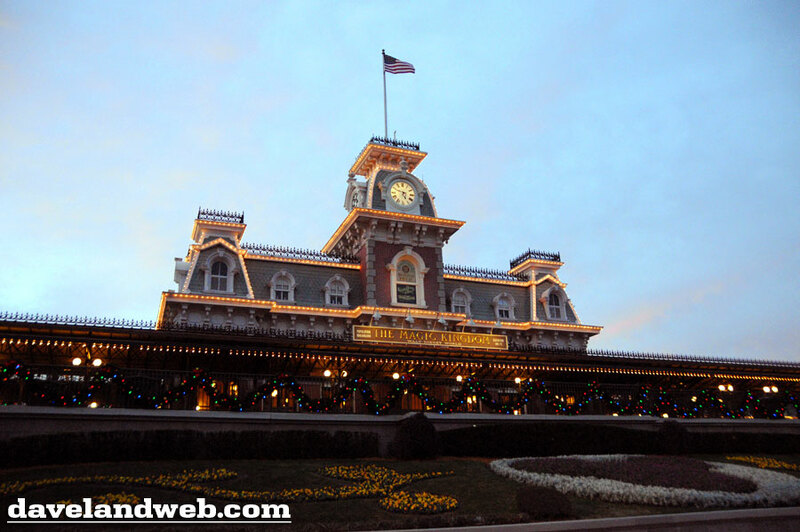 My goals for the Magic Kingdom that day were to hit all of the attractions I had once loved at Disneyland but were no longer there. 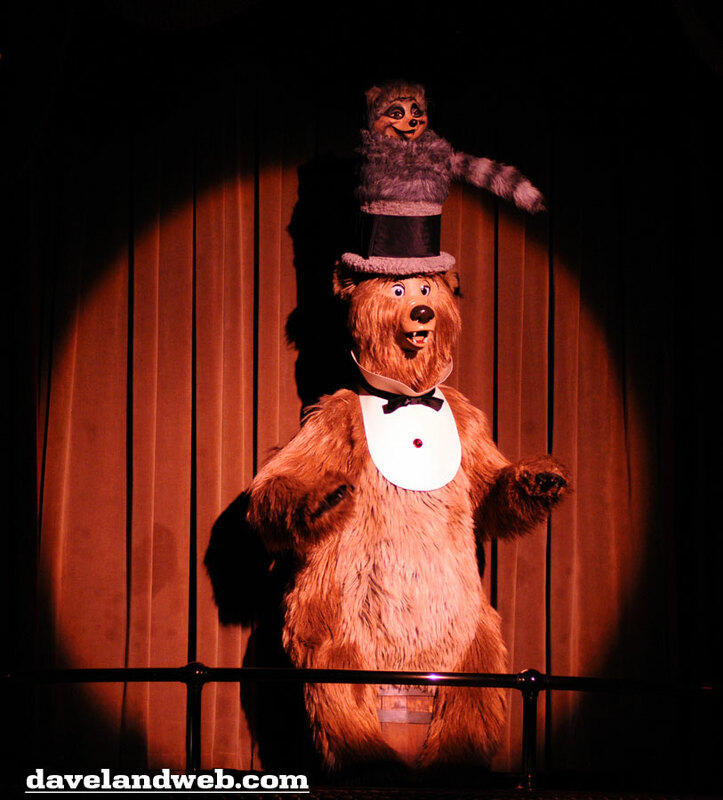 First up was the Country Bear Jamboree. Corny? Hell yes! But I still love it! It sure was good to see the furry gang of favorites again! And the house was PACKED with guests! 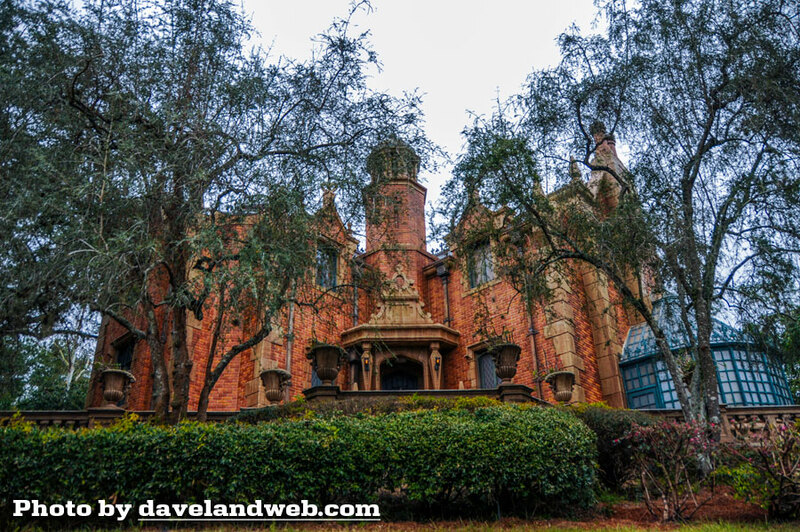 Although the Haunted Mansion is at Disneyland, I also love the WDW version. 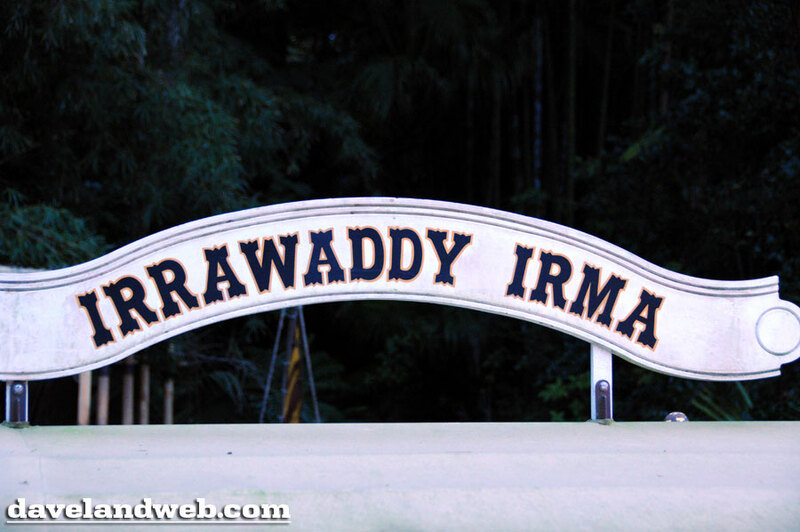 Slightly different, it stands up very well against its West Coast counterpart. 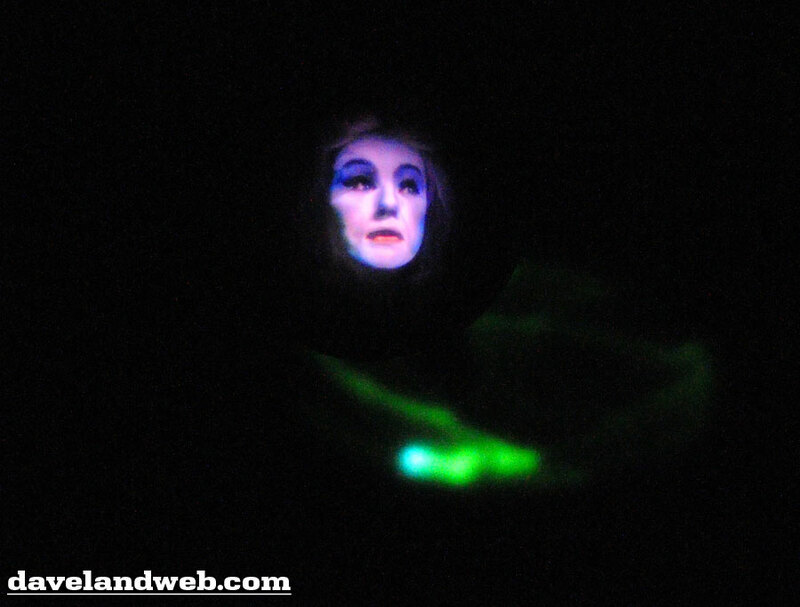 The projection effects are not as good (WDW Leota looks positively fuzzy compared to the Disneyland version), but there are enough other "new" cool scenes to make up for it. 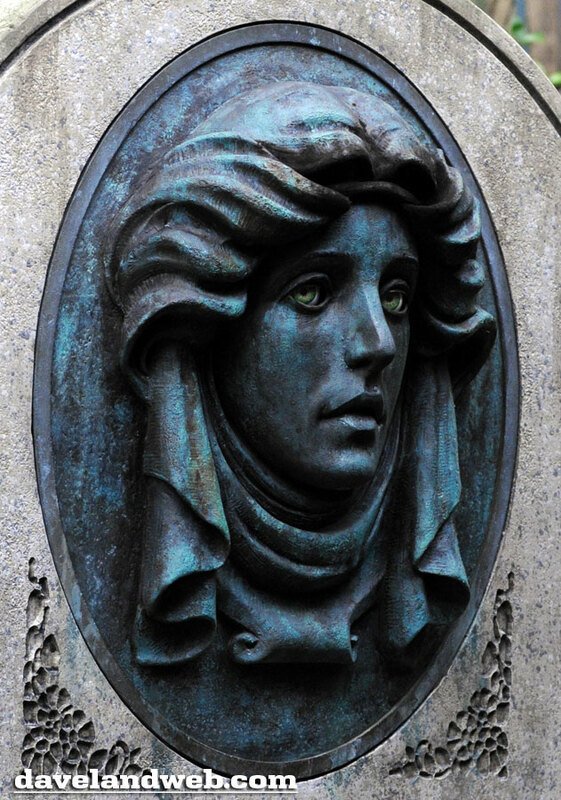 Love the Leota tombstone with the moving eyes, too! 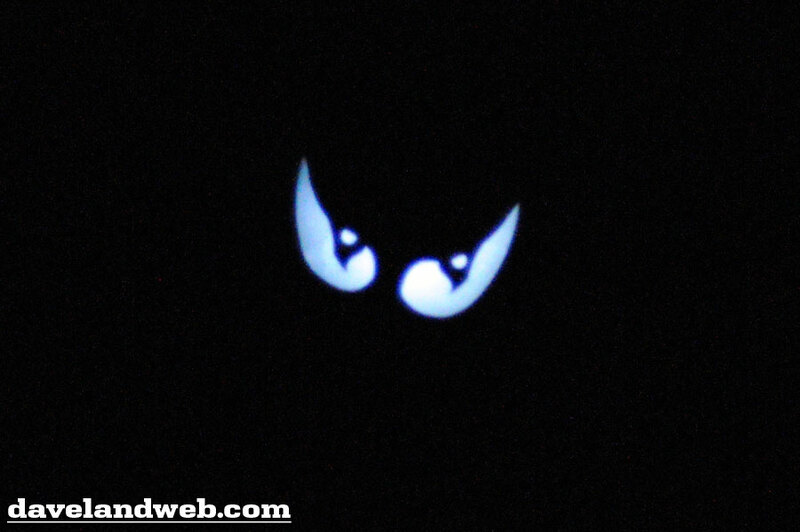 The moving eyes in the wallpaper would make a great addition to our Mansion, Anaheim Imagineers! 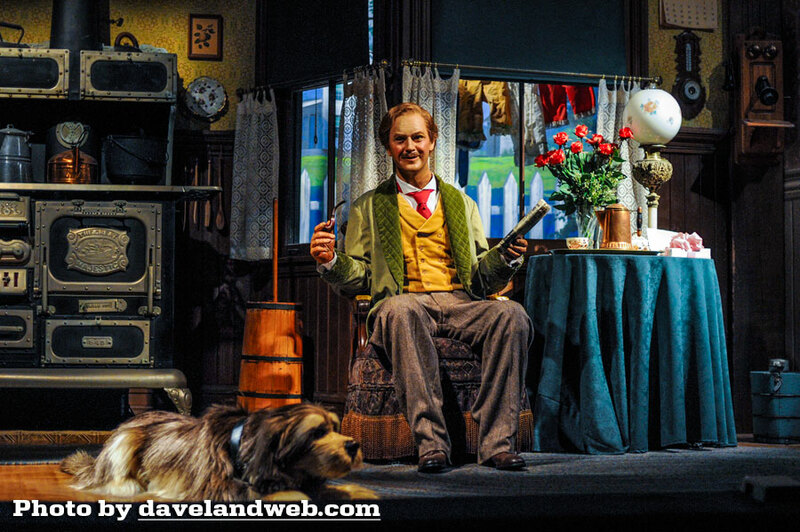 The attraction I was most anxious to see was the Carousel of Progress; compared to the dull-as-dishwater "Innoventions," this Disneyland attraction of the past makes my heart ache with longing. Sure, at times it seems a little dated, but its blend of education, entertainment, and way-cool technology is right up my alley. 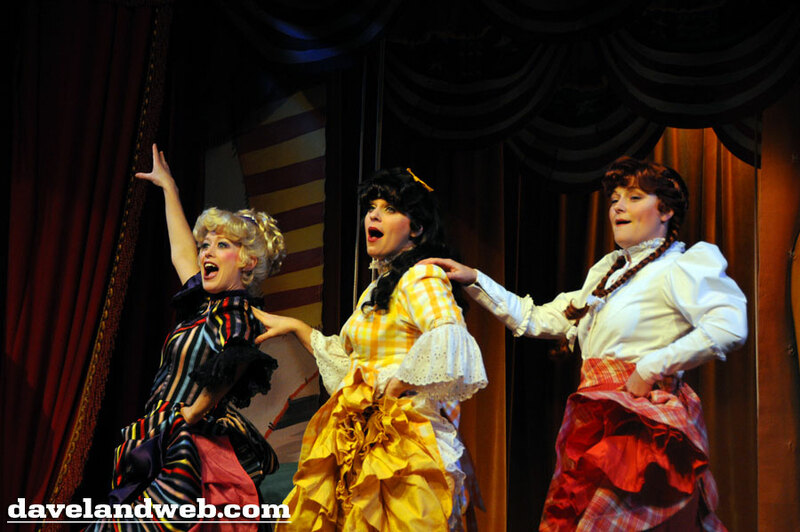 C’mon Imagineers...bring it back and give that Anaheim Carousel some life! 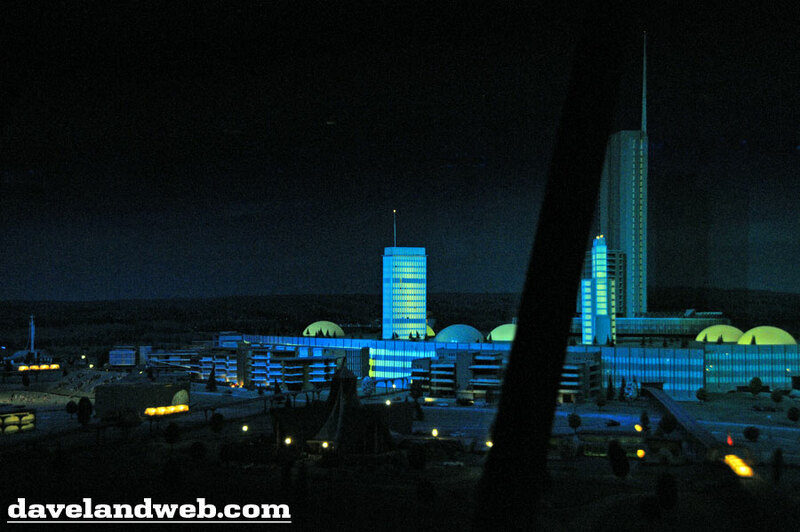 It was fun to ride the PeopleMover (now called the Tomorrowland Transit Authority) and to get a glimpse of the Progress City model! 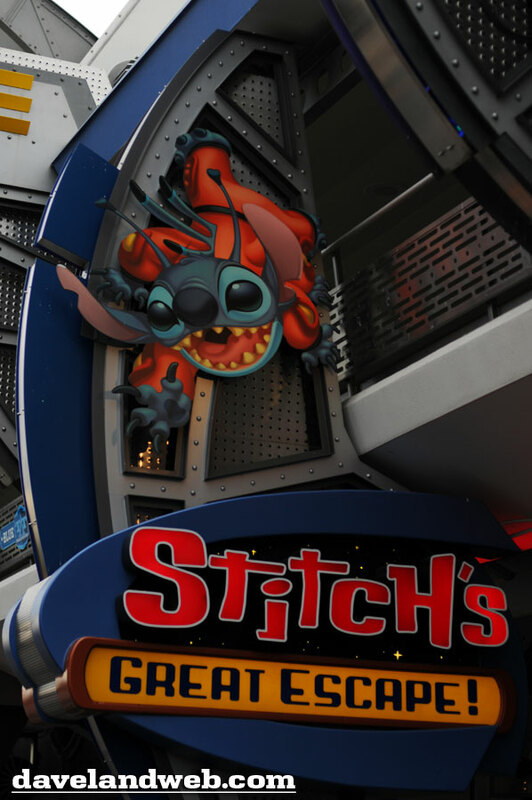 And the award for the WORST attraction goes to: Stitch’s Great Escape. 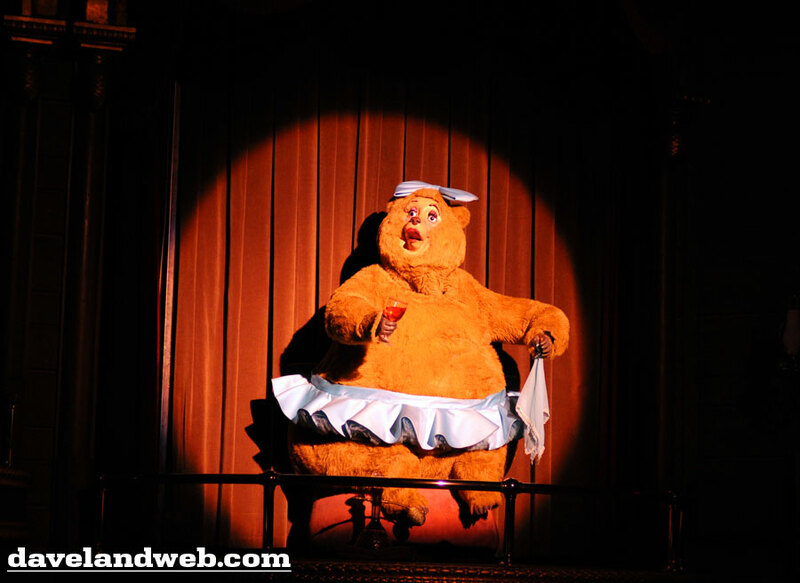 The Imagineer that thought of this turd should be fired on the spot. 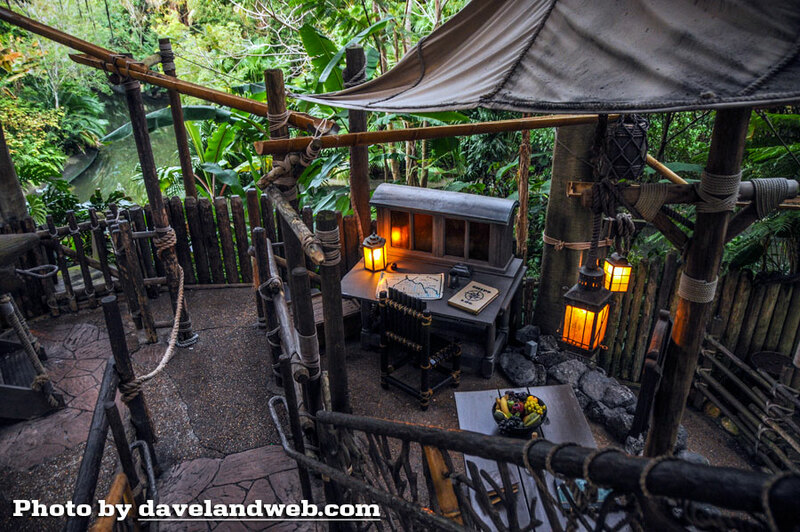 While Dough went back to the hotel for a nap and Stacy put in her marathon shopping time, I wandered over to Adventureland to check out the Swiss Family Robinson Treehouse and the Jungle Cruise. 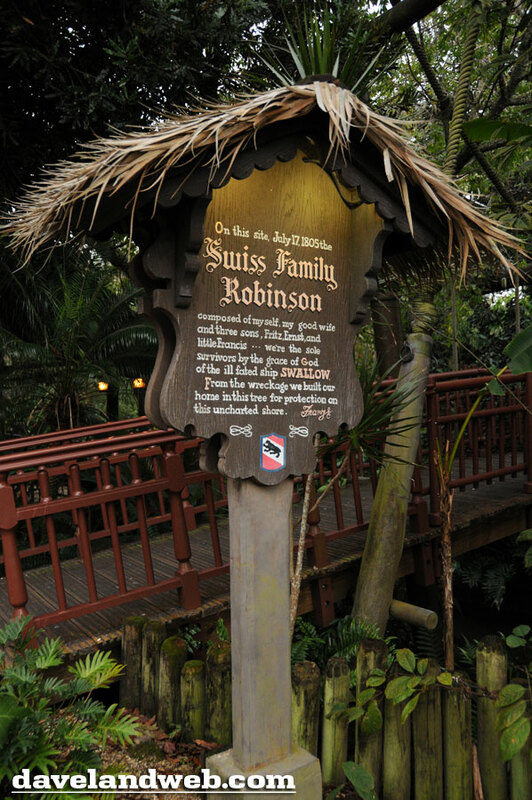 It was good to see that the Treehouse still had its Swiss Family theme and hadn’t been dumbed down to include Tarzan. 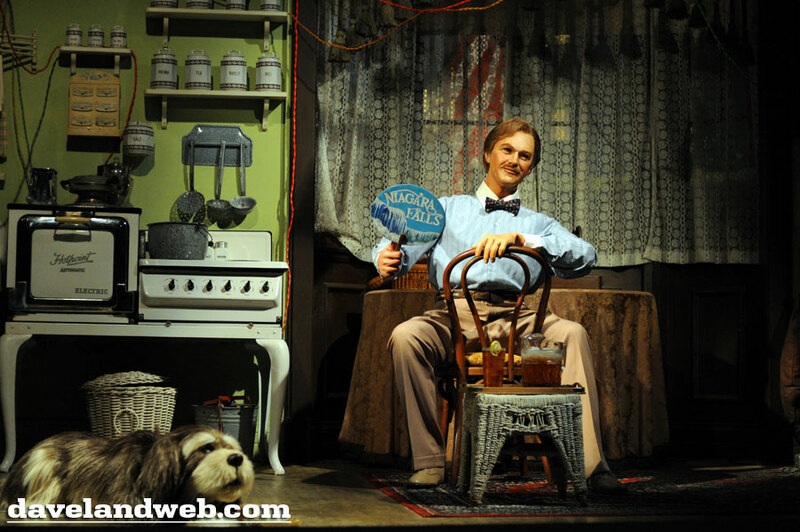 I loved the Rube-Goldberg elements of this attraction and still think they are way cool! 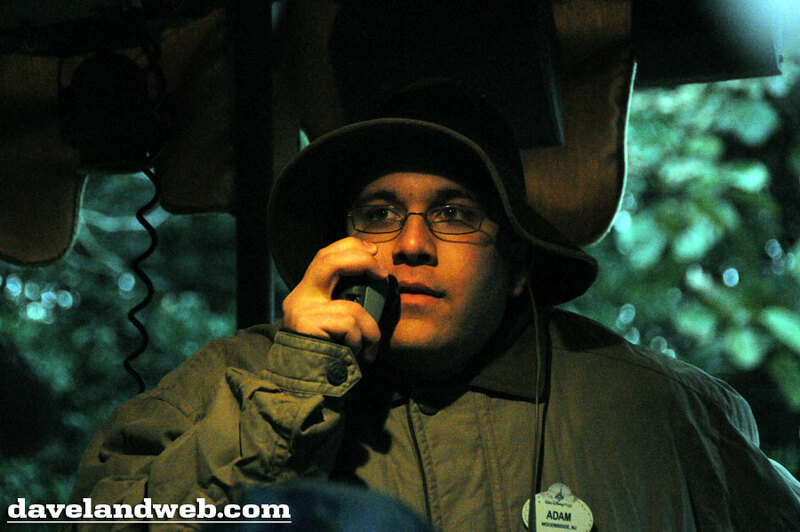 The Jungle Cruise was a lot of fun, too. 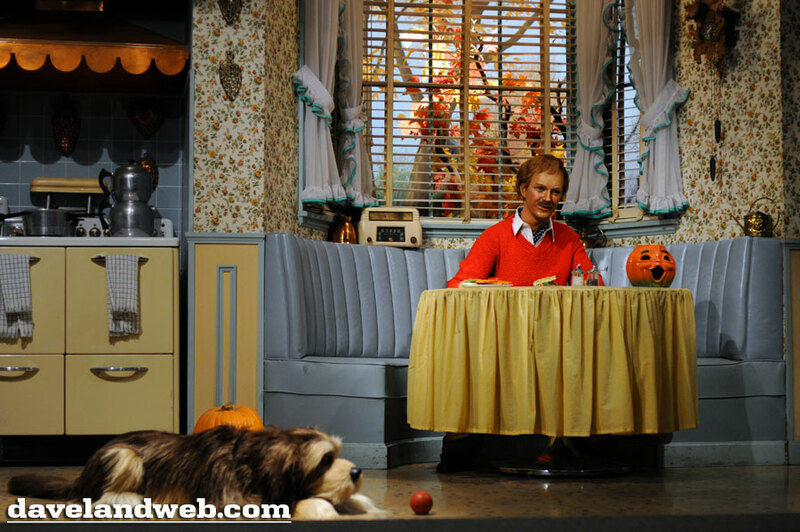 Very similar to Disneyland’s version, it is different enough to warrant a ride. I loved the tunnel at the end (sorry, didn’t get any photos! ); what a blast! Both times I rode on the JC, the tour guide was fantastic! 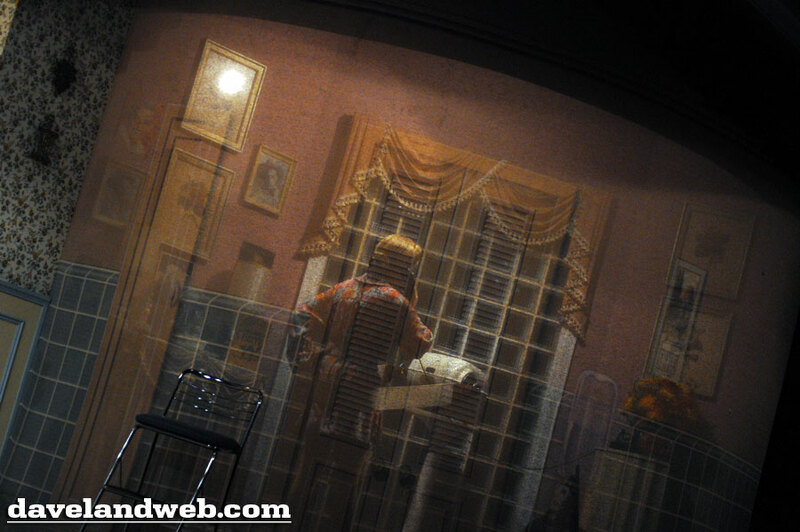 In these posts, I’ve pointed out a few of the differences between Orlando & Anaheim; the weirdest one for me was the entrance. At Disneyland, the entrance is always jam-packed with photographers snapping photos of each other standing in front of the Mickey Floral and The Train Station. In Orlando, not a soul in sight. Any thoughts, readers? It had been a long day, but the fun was not over yet! 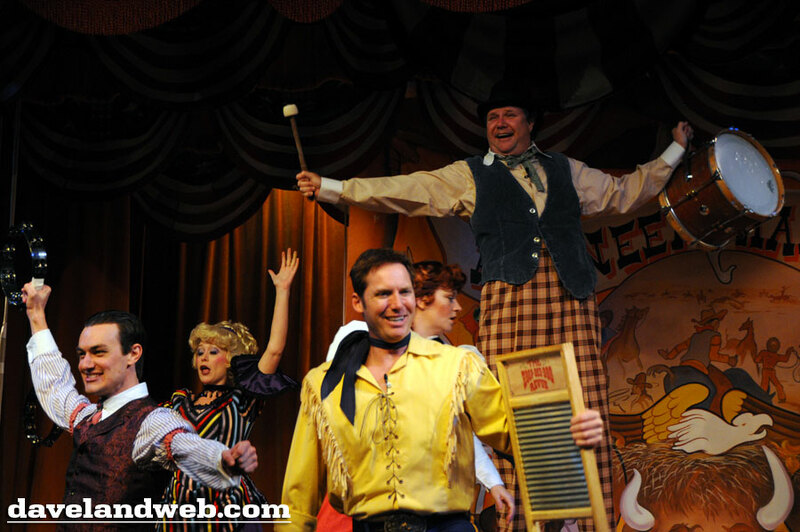 To attempt to relive my 1978 trip, I had booked tickets for the Hoop Dee Doo Revue over at the Fort Wilderness Resort. 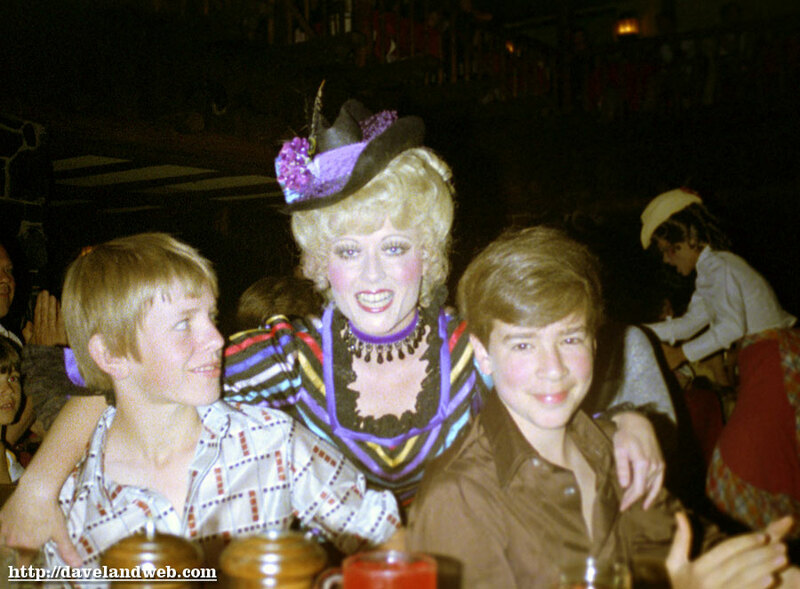 32 years later, it was still good food, fun, and entertainment! Just can’t beat the fried chicken! Put the corn bread down, Dough! EVERYONE got into the fun! 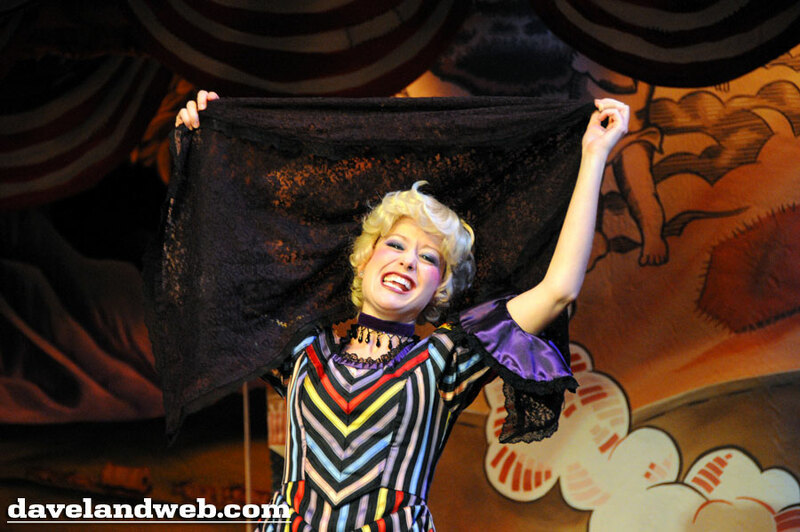 By the time the show was over, I was pooped! Couldn’t wait to get back to the hotel. However, the entertainment for the evening wasn’t over as some drunk woman on our bus back to the resort puked all over after having a loud altercation with her two male companions. And yes, there were families and children on the bus. Really people, do you need to get plowed at Disney World to have a good time? I guess Anaheim’s park doesn’t have the monopoly on clueless morons. Congratulations on a new "personal best", Dave! Great job. And even though that icy cold weather looked kind of miserable, you'll never forget that day. 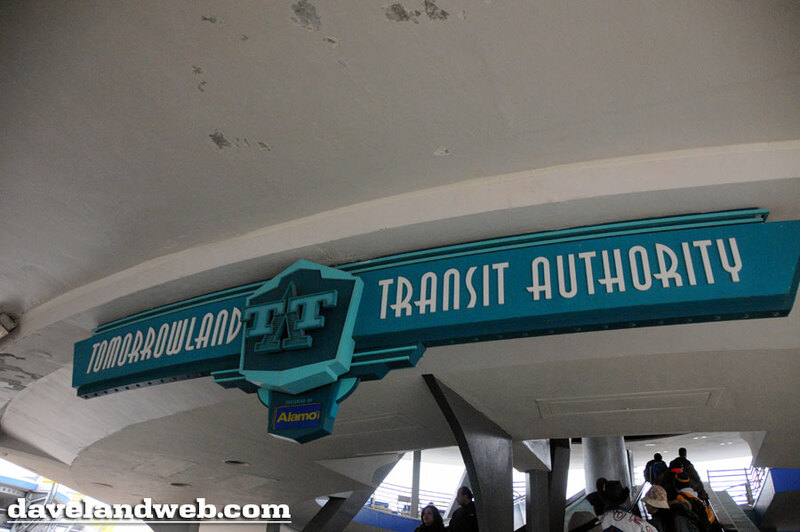 Thanks for the excellent Carousel of Progress pix; I wonder why "Tomorrowland Transit Authority" is used instead of "Peoplemover"? 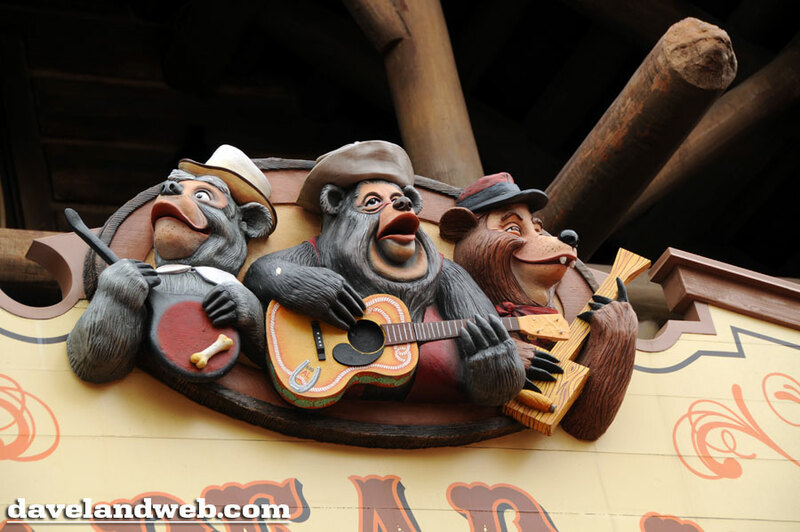 The Jungle Cruise has a tunnel? What's in it? 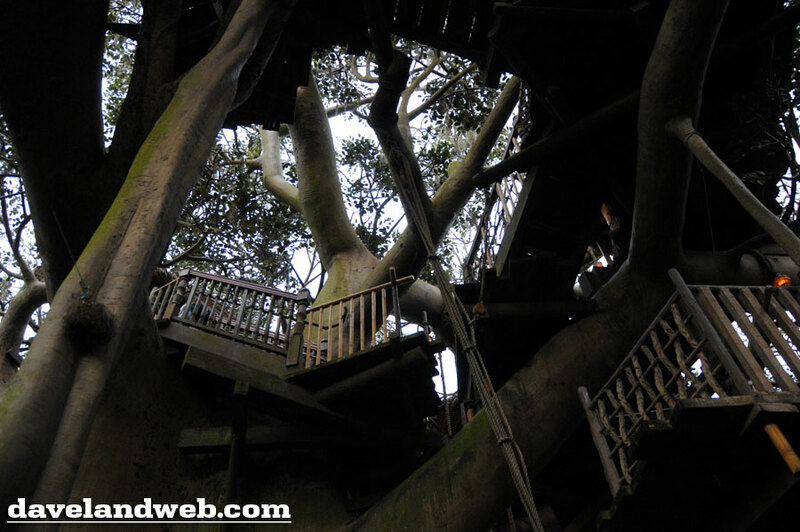 And finally, I am jealous that they still have the Swiss Family in their treehouse. David - The JC Tunnel contains stuff that DL mainly has in its Ancient Ruins section (treasure, statues, etc. 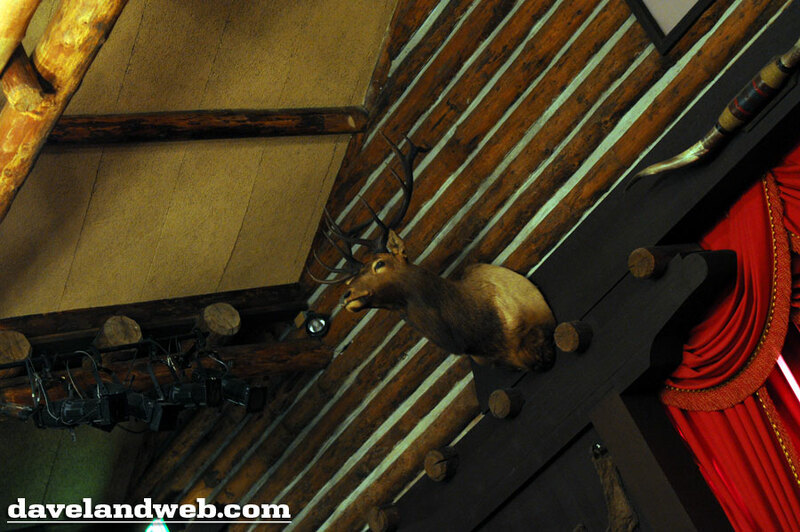 ), but because it's in a tunnel, it has somewhat of an Indiana Jones vibe to it. 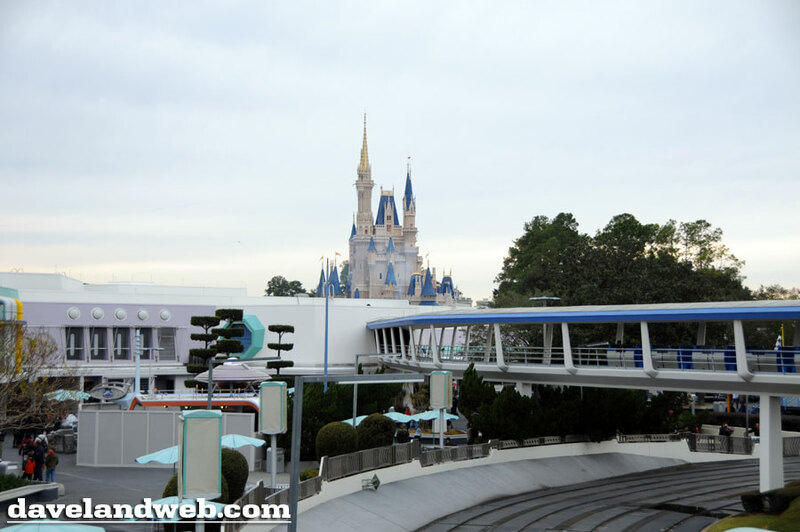 I have no idea why they changed the name of the PeopleMover...was baffled myself! I noticed the odd mixture of 1970’s styles too, I swear I saw Jan Brady holding a cylinder with Dads blue prints inside. 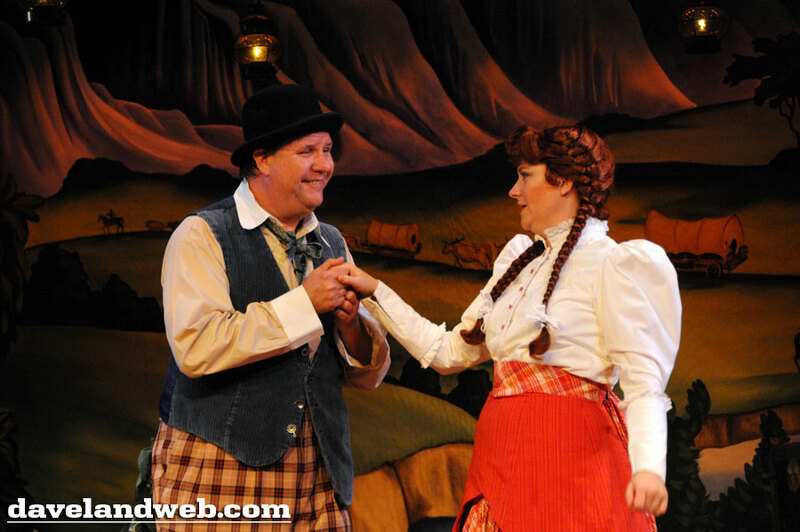 You did the Magic Kingdom the Disneyland Way, good man! 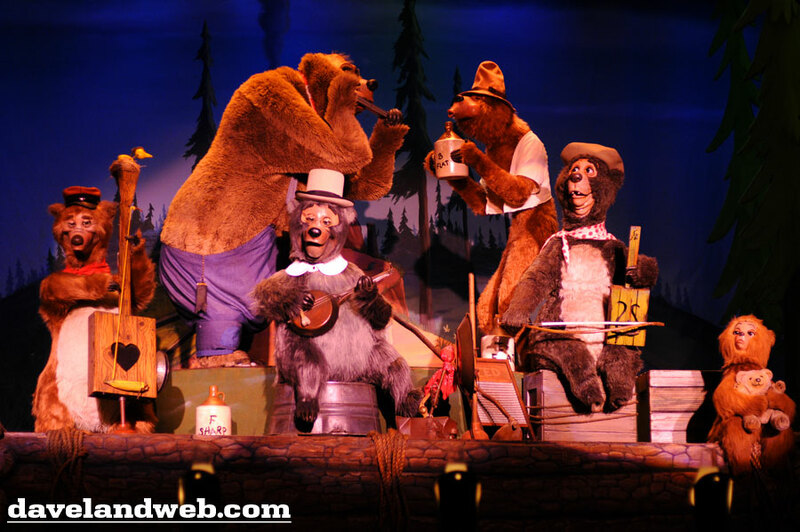 Country Bears - didn't it make you sad about Anaheim, WTF were the thinking removing them from DL? 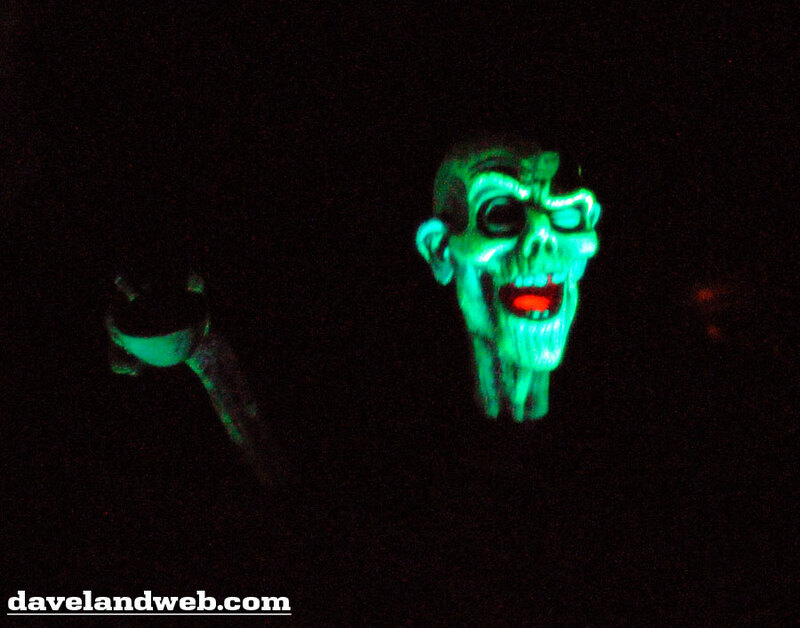 The Haunted Mansion does hold its own against Disneyland's version, you might even argue the additions/difference make it better, but the outside is disappointing and the queue line is lame. 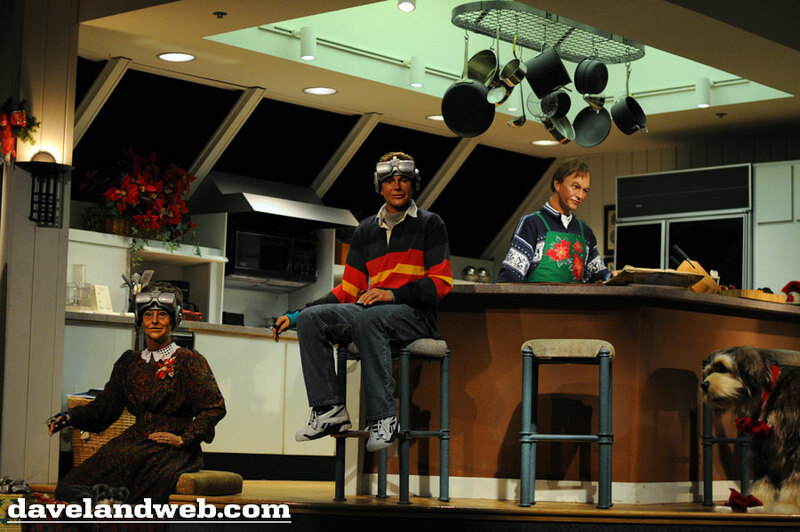 Carousel of Progress; mind blowing huh? "Bring it back to Anaheim", don't tease us Dave! OMG The Swiss Family! They need to have a west coast pad - evict Tarzan! The WDW version is HIGH!!! Was the water wheel contraption working? 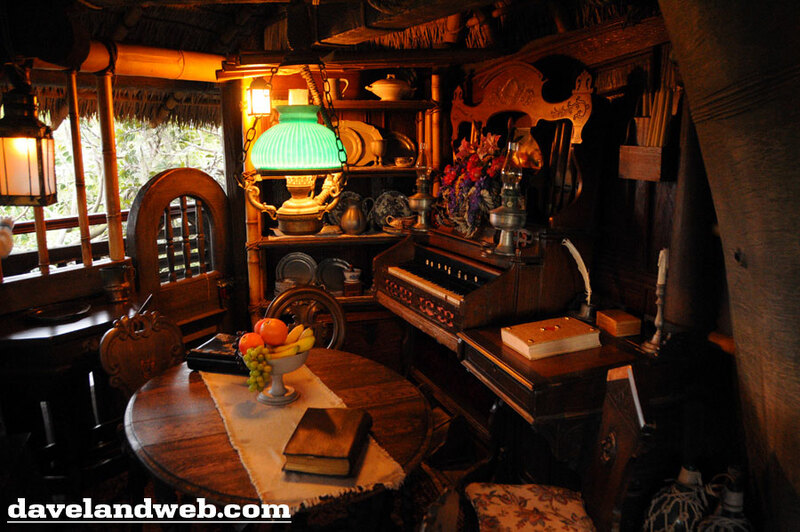 The Jungle Cruise is great, on par with DL's, the tunnel is a nice diversion and the plane wreck adds atmosphere. Both my Skippers were fantastic too! 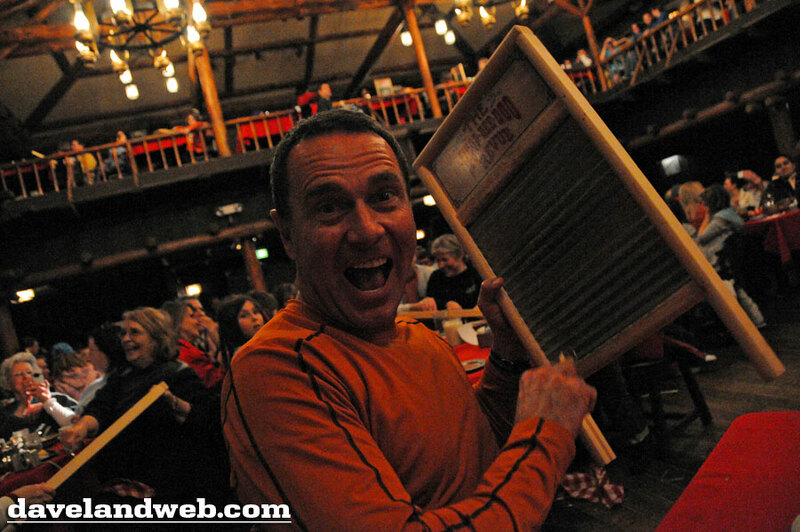 Looks like you had a great time Dave! Well, except the puking lady on the bus - nasty! Sounds like a fun time was had. Congrats on the personal best time. 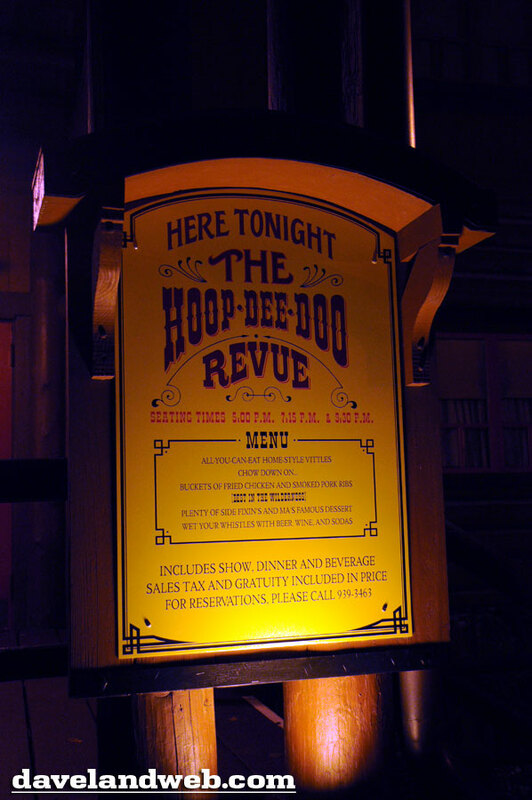 I have never done the Hoop de do--it kind of reminds me of the old Golden Horseshoe. 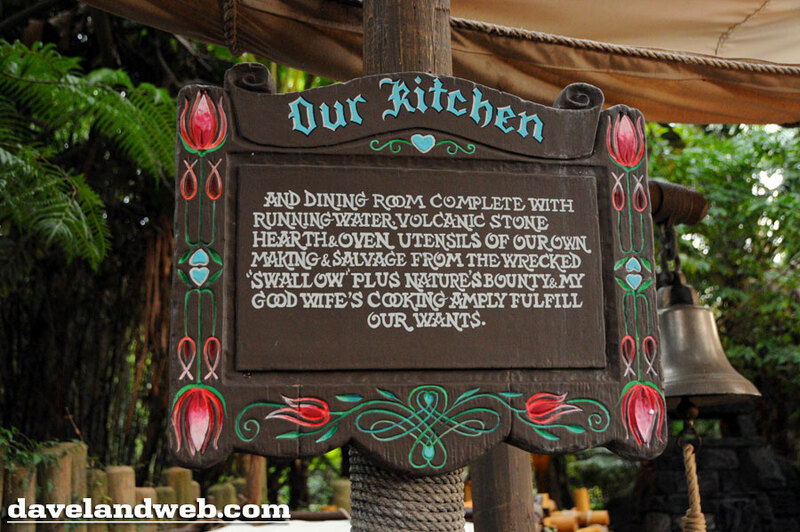 No offense, but I'm going to have to disagree with you on Stitch's Great Escape and Tarzan's Treehouse. 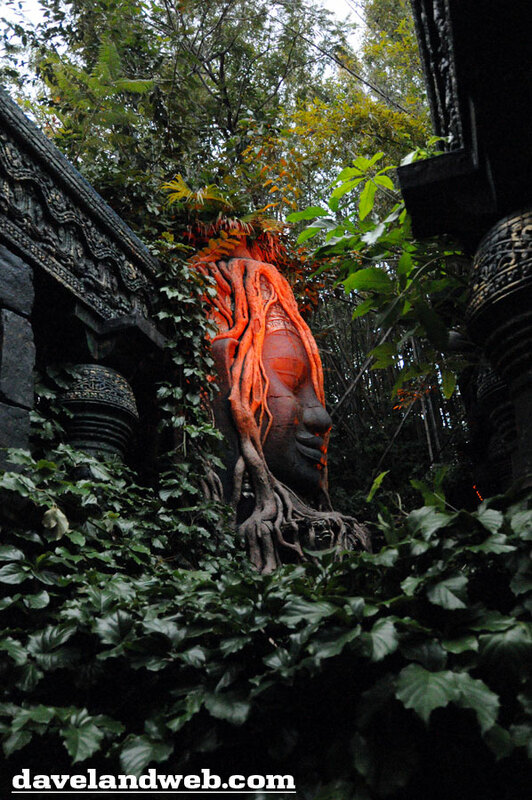 Stitch's Great Escape is right up there on the "Worst Attractions Ever" list along with Innoventions, Honey I Shrunk The Audience, The Muppets in 3-D, and Anaheim's Pooh ride.....Oh wait, I forgot Tiki Room: Under New Management. Did you skip that one while you were there? 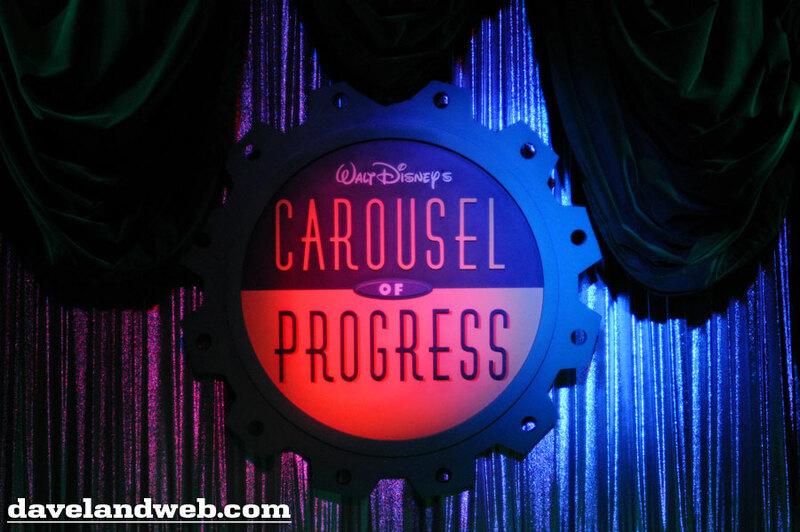 I would love to see the Carousel of Progress brought back to DL and either updated properly...or just restored to it's original glory. 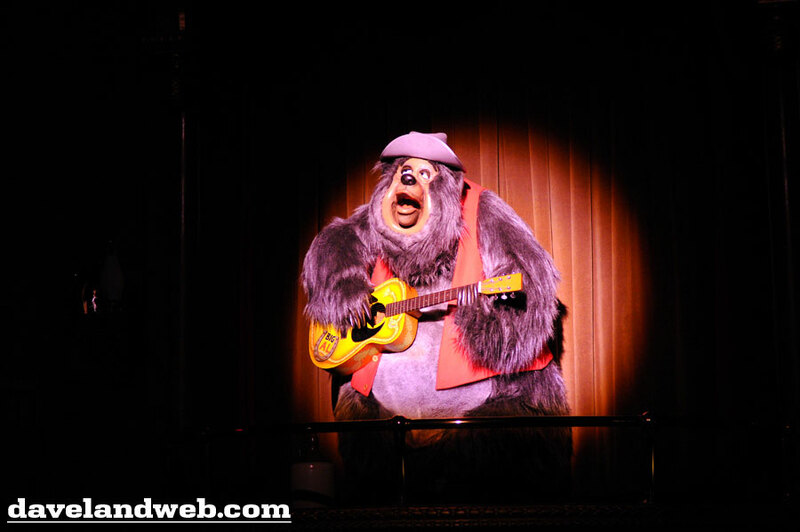 It would be nice to see Country Bear Jamboree return to DL too. 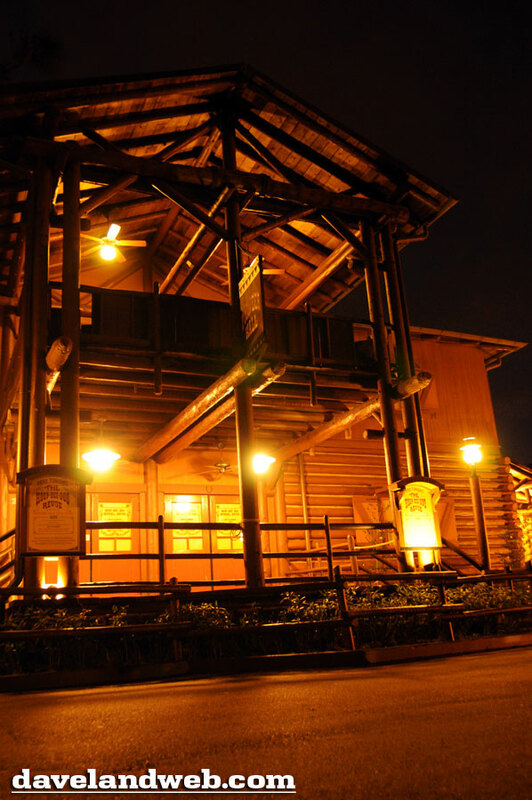 I like the little differences that are found at WDW and Tokyo DL. 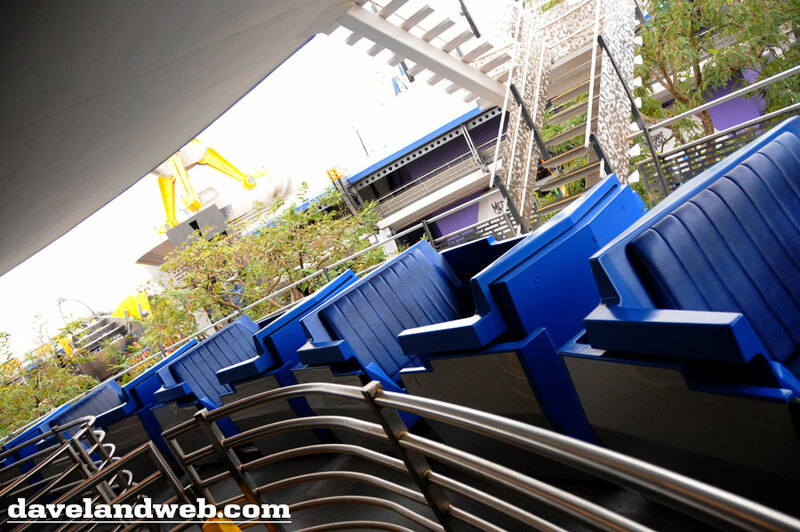 Who'd want to go to these other parks if they were all just carbon copies of one another. 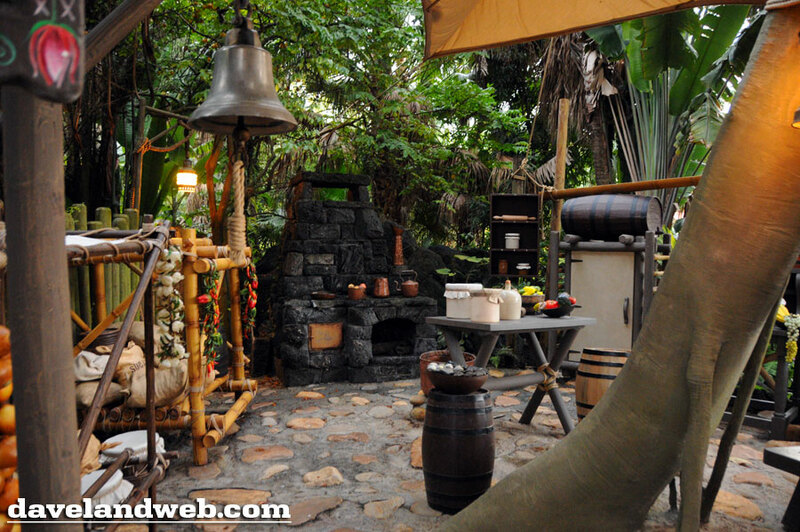 I like the Jungle Cruise tunnel/show building too! 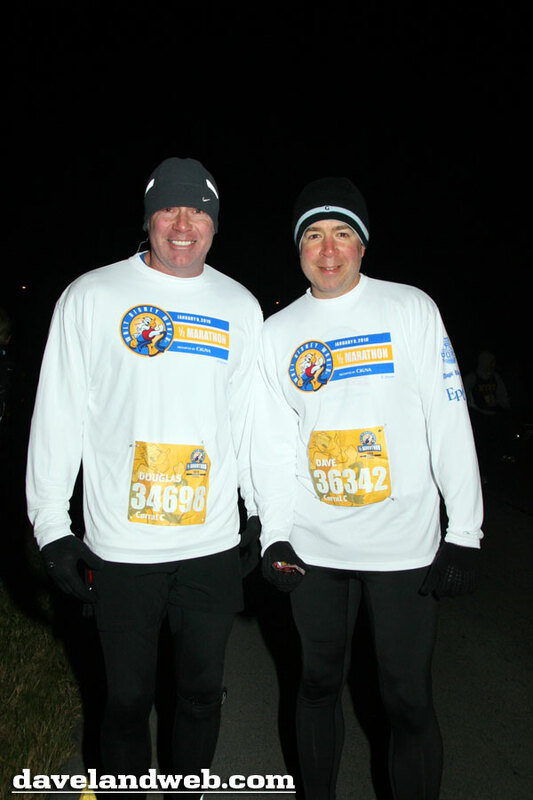 Thanks for the fantastic peek at Orlando and congratulations on finishing the racewith a new personal best! Not to be greedy, but will there be more parts to this series? 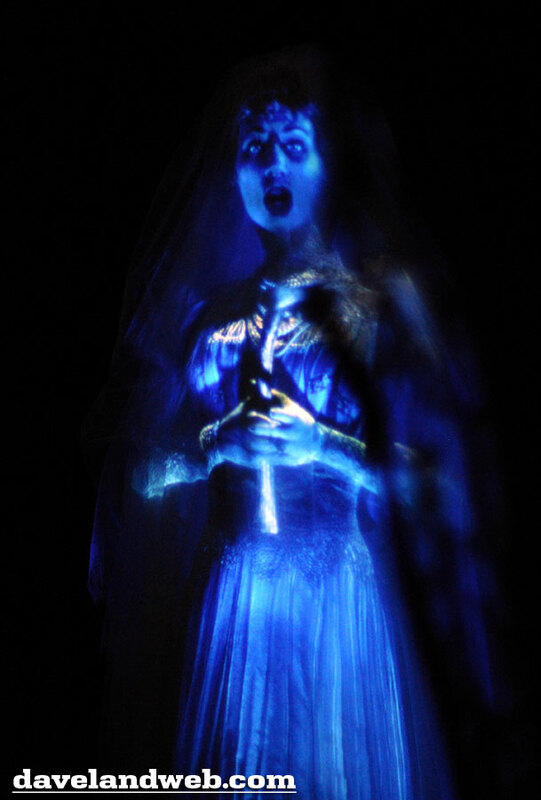 Did you make it to the other Disney parks? Universal? P.S. Great vintage shot of you from 1978! What a great post! 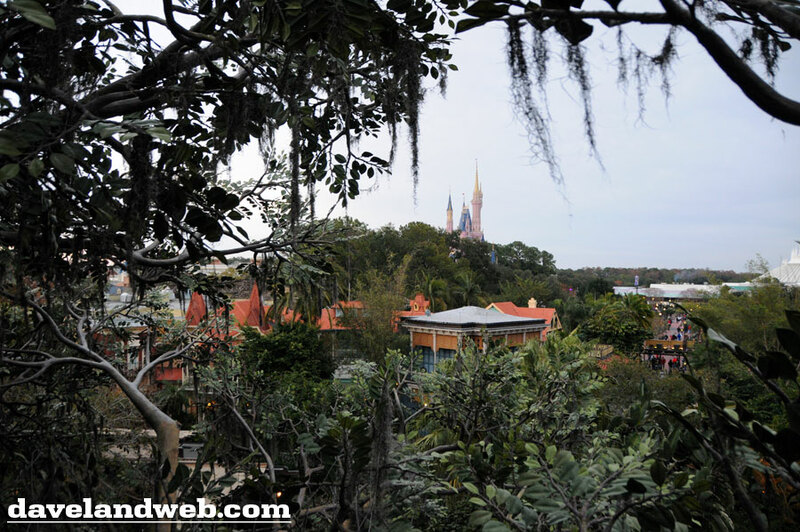 It's always fun to see WDW Magic Kingdom through someone else's eyes. Thanks, Dave. Great trip report! I saw the Stitch ride and got soo excited. But it stinks huh? We're visiting some friends in Tampa next month and really want to go to WDW. I haven't been in almost a decade. Dave, your pictures are terrific. One possibility why visitors aren't snapping photos in front of the floral Mickey is the dreaded and often unexpected checking of your baggage at the entance of the park. Lucky for me on my last visit all I had was a compact bag for moving quickly around the park so I could stick to my plans more easily.